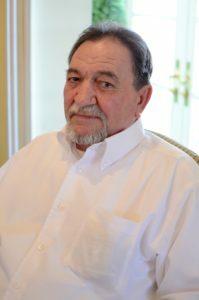 Age 71, of Alabaster, passed away on February 2, 2019. He is preceded in death by his parents, Alec Elmer and Linnie Jewel Buckner. He is survived by his wife, Mary Reva Buckner; sons, Shawn Buckner (Samantha) and Brian Buckner (Ashley); brother, C.W. Buckner; grandsons, Cameron, Peyton, Ethen, Bailey, Will and Autin. There will be a Memorial Service Wednesday, February 6, 2019 at 12:00 p.m. at Charter Funeral Home. With a burial in Alabama National Cemetery to follow at 1:15 P.M.
My Condolenses to Ronald’s family, as God has called home another soldier to join in his heavenly palace. As a Vietnam Veteran I’m aware of the sacrifices he made 50 years ago and the tribulations he has endured since. Rest assured his brothers in arms will never forget him! Rest Easy Marine, your watch is over! So sorry to hear about Ronnie. New him when we were growing up in Monterey, TN. Also a close frind of my brither. I always wondered where he was. I pray he had a good family life. Am so sorry for his family. I’m sorry for your loss. I went to school and played football with Ronnie and a friend. I remember him alway joking and laughing. Prayers for the family. I know he will be missed. So sorry for your loss. Went to school with Ronnie. He was a great person! I knew Ronnie in high school. I remember his beautiful smile. He was a friend to everyone. Prayers for his family. So sorry for your loss. I graduated from high school with Ronnie. Every one loved him. Prayers for all of the family.